Even before Compulsion released, I had a slew of contacts on Facebook, Goodreads, and my website asking for donations of the book for a school or library. I love libraries. I love teachers who keep books in the classrooms, most often at their own expense. But I can't possibly send books for every request. I do want to do what I can though, especially for the holidays. So I'm hosting a Win a Basket of Books giveaway. 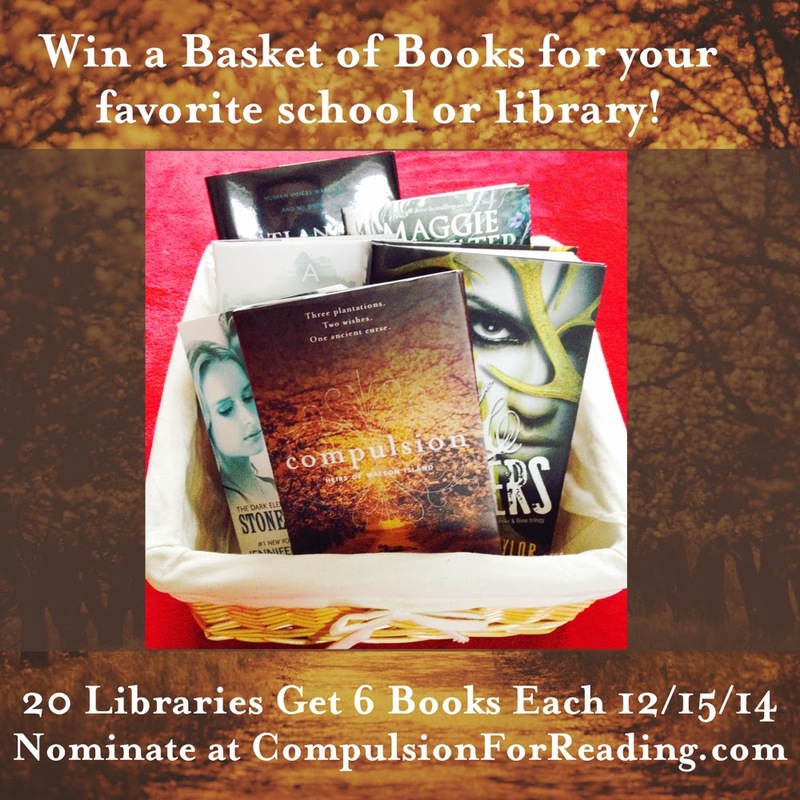 Want to win a basket of best-selling books for your school or library? I’ve been getting requests for donations of Compulsion, and with the holiday season coming up, I’ve decided the best present I can give myself is to give something back to schools, teachers, libraries, and librarians. Without them, Compulsion would not exist. If you know an underfunded school or library in the United States that could use a little help, please nominate them using the form below. Please help by getting the word out! And if you’d like to donate books, let me know. I’d love to be able to send out more baskets to even more schools and libraries! Click here to nominate your school or library. There have been many lovely moments recently. 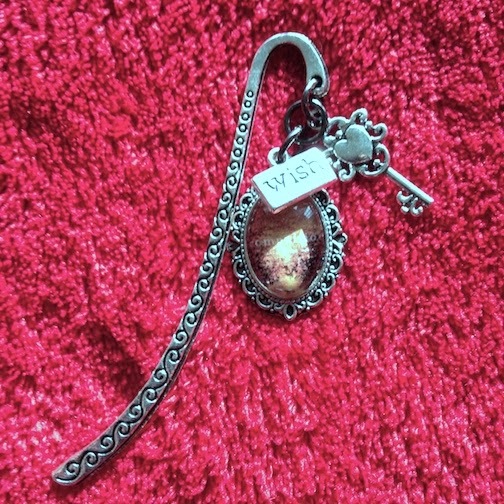 The whole Compelling Reads tour was amazing, and so many people have been more than kind. I'd like to thank Jessie Potts of USA Today for including Compulsion among her "Must-Read Paranormals last week. Talk about happy-dance moments! Thank you also to Romantic Times RT Book Reviews' DJ DeSmyter for calling Compulsion "flawless, a true gem" and mentioning that it's "a must-read." 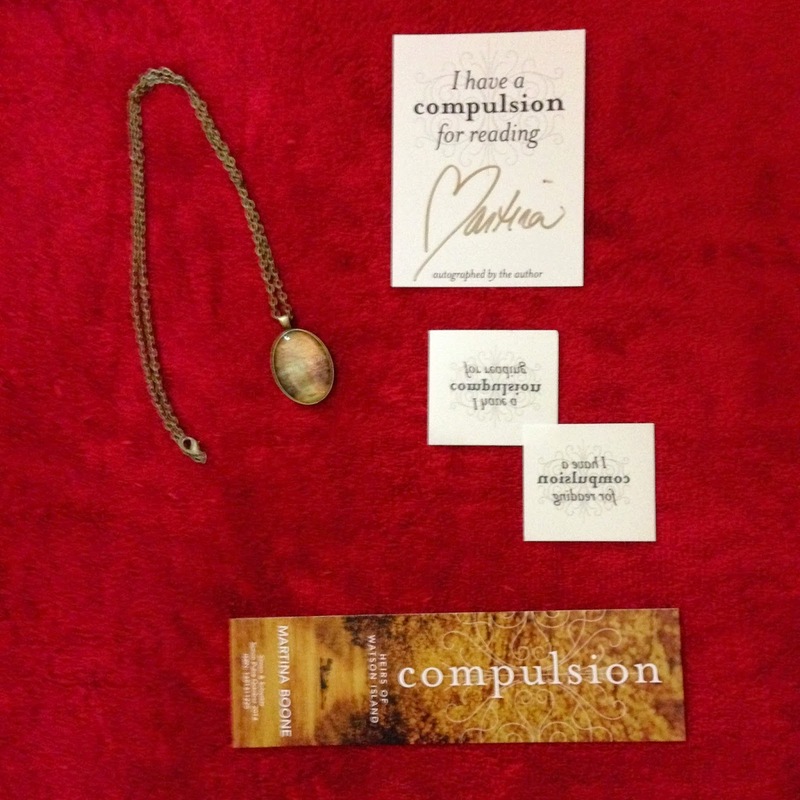 Massive thank you to Goodreads for including Compulsion on both its General and YA lists of Best Books of the Month. I'm helping to judge Jennifer L. Armentrout's FanFic contest. Want an all expense trip to the 2015 RT convention in Dallas? Check out the rules and opportunity here! Isn't Jen incredible? She truly believes in giving back and paying it forward. 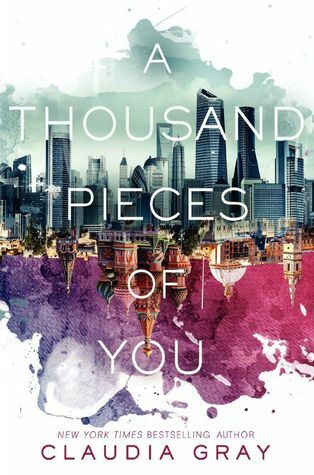 Thank you to everyone who has bought it, added it to their shelves, and especially to all of you who've reviewed it on Amazon, B&N, Goodreads, and elsewhere. Your ratings and reviews genuinely make an enormous difference! 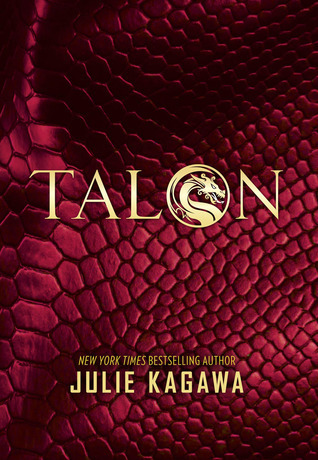 This week's giveaway includes some hot Compulsion swag plus A THOUSAND PIECES OF YOU by Claudia Gray plus TALON by Julie Kagawa. Awesome contest!! I nominate Bristol Library in Bristolville, OH.